Their comment prompted huge backlash on social media. On Wednesday, the official Twitter account of the British Museum hosted an 'Ask A Curator' session with Jane Portal, who is the 'Keeper of Asia' at the museum. However, during the question and answer session, things went south when a Twitter user asked how the museum went about designing exhibition labels and information that are widely accessible. 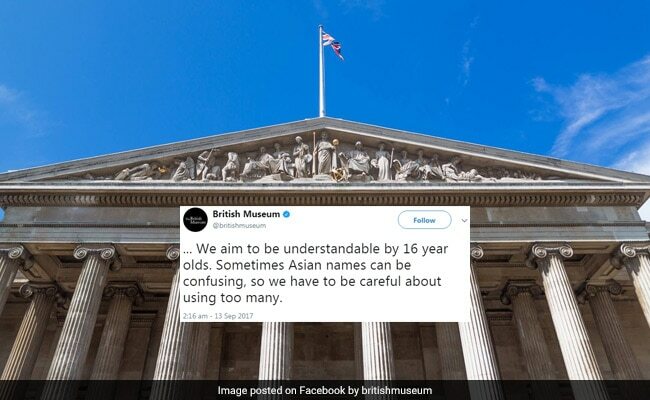 In response, the British Museum tweeted that they aim to make signs understandable for 16-year-olds and that Asian names can sometimes be "confusing". The comment, perceived by many as offensive, soon prompted massive backlash on the micro-blogging website. "Sometimes Asian names can be confusing, so we have to be careful about using too many"
They didn't find them confusing when they were colonising, looting and filling the museums to begin with. Funny that. 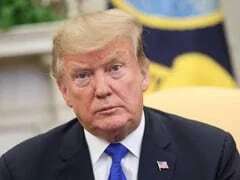 Amongst those who criticized the comment was Indian-American actor Kal Penn. The British Museum quickly issued a clarification and apologised. "Asian names are so confusing," Kristin said, and nodding in agreement were her friends Kirsten, Kristen, Kristine, Krystin, Krystal, Khrys. If they can understand Targaryen, Lannister, Baelish, Melisandre and Baratheon they can wrap their heads around Ramachandran or Viswanathan!